We don’t understand quasars all that well, but are pretty certain that these incredibly bright lights belong in the centers of galaxies. So it looked a little weird when astronomers spotted quasar 3C 186 thirty six thousand light years away from the center of its galaxy, seemingly trying to escape. Given their brightness and location in galactic centers, it’s likely that quasars are supermassive black holes, and that the bright light comes from the friction of gas and dust orbiting the central mass at incredibly high speeds. An international team of astronomers spotted this strange galactic escape eight billion light years away with the Hubble Space Telescope, Sloan Digital Sky Survey, and Chandra X-Ray Observatory. They think the quasar could have received a kick from gravitational waves, when it was created in a violent collision between black holes three billions of time the mass of our own Sun. But that explanation didn’t sit quite right with Grant Tremblay, astrophysicist at Yale and one of the paper’s authors. At first, Tremblay and his colleagues thought the galaxy and its quasar had just recently merged with another one. “But mergers that happen recently look like total trainwreck messes,” he told Gizmodo. “This is a really regular looking galaxy, which means if there was a major merger, it would have had to have happened several billi0n years ago.” In other words, it would have taken time after the merger for the galaxy to re-assume its current elliptical shape. Furthermore, black holes want to return to the center of their galaxies through a process called dynamical friction, said Tremblay. This quasar seems to be rushing away at around 2000 kilometers per second (4.5 million miles per hour) instead. 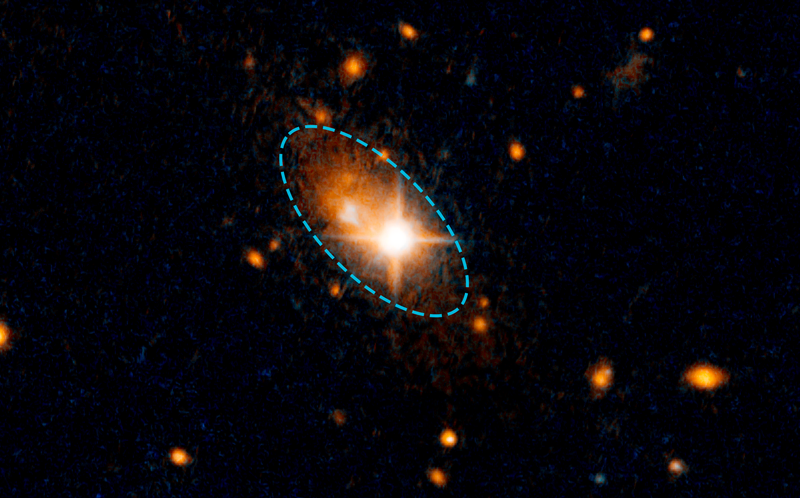 So, why would a bright quasar like 3C 186 run away from such a good lookin’ galaxy? The paper, which will be published next week in the journal Astronomy & Astrophysics, proposes one of the most violent collisions possible. First, the idea goes, two supermassive black holes spun around each other and fused, their combined mass creating the three billion solar mass quasar 3C 186. 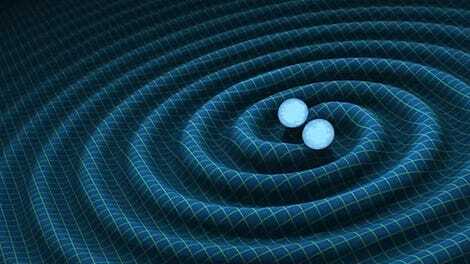 Any leftover momentum from the spinning would turn into gravitational waves, ripples that travel through and change the shape of spacetime itself, which physicists first observed last year. Models show that resulting gravitational wave ‘kick’ could account for the black hole’s speedy escape. Scientists are continuing to study this quasar to confirm their gravitational wave-based explanation. But until then, good luck out there 3C 186. That galaxy wasn’t good enough for you anyway.